The "Black Book of Flora in Siberia" describes 58 imported plants that threaten the region's environment. 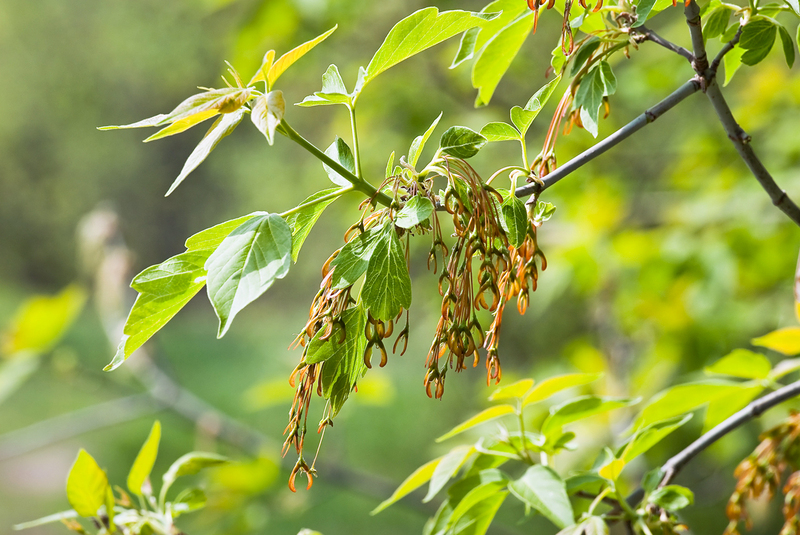 Russian botanists report that imported trees such as the ash-leaved maple, which is common in North America, are threatening Siberia's indigenous ecosystem. A group of scientists have written and published the "Black Book of Flora in Siberia," which describes 58 imported plants that threaten the region's environment, animals and people. It took three years and 25 biologists to compile the "black book" of invasive plant species. Foreign plants do not easily adapt to the Siberian climate. But the non-native plants that have taken root here create much trouble for domestic plants, which are being squeezed out. A group of biologists identified 146 non-native plants, and the 58 most aggressive are listed in the black book. "These invasive plants have spread thanks to human activity, and now threaten Siberia's biological diversity," said Marina Silantieva, the book's co-author and dean of the Department of Biology at Altai University. "For example, groups of giant sumpweed (Cyclachaena xanthiifolia), viper's bugloss, and blueweed (Echium vulgare) basically turn cattle pastures into meadows that are unsuitable for grazing." Scientists say that some non-native plants carry parasitical and contagious diseases, which are dangerous for other plants. For example, certain mushrooms cause wheat rust. "Wind-pollinated plants such as ragweed and Cyclachaena xanthiifolia cause allergies, and Sosnowsky's hogweed causes skin diseases in people," noted Silantieva. Other invasive plants displace native forest species after felling, such as the ash-leaved maple. According to scientists, like many other plants the maple was brought to Siberia in the early 20th century. It was actively cultivated in the 1960s when it was used for shelterbelts. But soon the "woody weed" began multiplying by itself. When the maple invaded forests after felling, the more common types of native plants would disappear. In some cases there were even dead land lots that almost completely lacked a grassy covering. Scientists believe that foreign plants began to penetrate Siberia even earlier. Ancient burials sometimes contain seeds that were not part of the region's native flora. The region's environment actively changed in the beginning of the 17th century thanks to the development of agrarian settlements in Siberia. The number of crop areas drastically increased and foreign plants began to inhabit them. By the middle of the 20th century, nearly 10 million hectares were plowed and sown. "The final stage of the foreign plants' populating process is happening now, and they are helped by the globalization of freight traffic, as well as the circulation of various human cultures," said Silantieva. "Global warming also helps the spread of foreign plants. Temperature limits have disappeared for many thermophilic plants." The authors hope that the "Black Book of Flora in Siberia" will inspire research to study the invasive plants, and help prevent economic and ecological damage. While the black book does not have legislative force, the scientists do not doubt the usefulness of their research. The new book of dangerous plants is full of recommendations on how to fight the "aggressors."